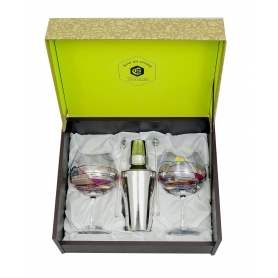 Gin and Tonic/Cocktail set consisting of two Milano glasses (850 ml; 28.7 oz) with silver-plated stirrers and a cocktai shaker. Available packaging: elegant case or trunk. Custom etching available. 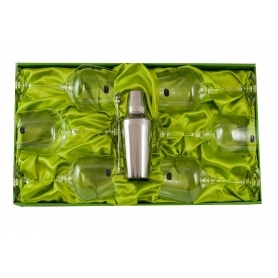 Seven-piece, liquor set consisting of one Puccini bottle and six Ideal shot glasses decorated with silver accessories (droplet or flower) and packed in a set box, an elegant case or a trunk. Custom etching avaible. 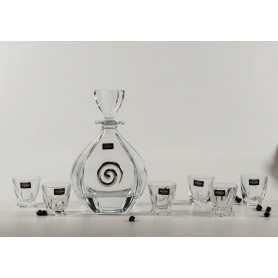 Liquor set consisting of one Rossini bottle, decorated with handcraft engraving (Petals desing) and silver accessories (flower or petals), plus six Samba shot glasses, which can be adorned by engraving or with silver accessories in line with the bottle. 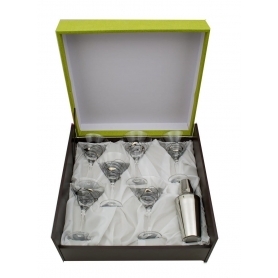 Available packaging: set box, elegant case or trunk. Custom etching available. 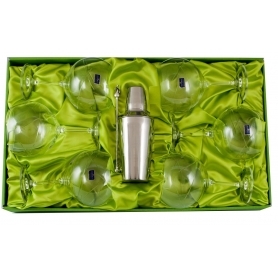 Handcraft engraved (203 design) liquor set consisting of six Samba shot glasses and one Puccini bottle, which can also be adorned with silver accessories (cerchio, spiral, flower or chained rhombi). Available packaging: set box, elegant case or trunk. Custom etching available. 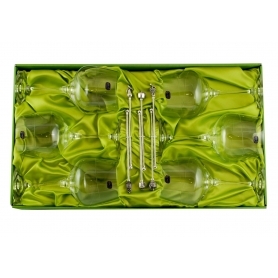 Bohemian glass liquor set consisting of one Laguna bottle and six Quadro shot glasses, with silver decorative accesories (cerchio, flower, chained rhombi or spiral) on the bottle and, if desired, on the shot glasses. Available packaging: set box, elegant case or trunk. Custom etching available. 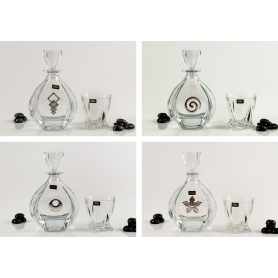 Bohemian glass whisky set, consisting of one Laguna bottle with silver decorative accessories (chained rhombi, cerchio, flower or spiral) and six Quadro glasses (11.4 oz; 340 ml), which can be clear or decorated in line with the bottle (chained rhombi, cerchio, flower or spiral). Available packaging: elegant case or trunk. Custom etching available. 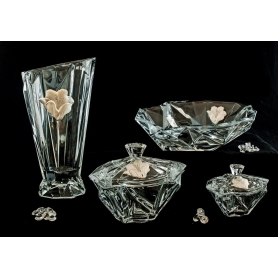 Cocktail set consisting of six glasses, decorated by handcraft engraving (E5 or PM designs), and a set of steel, cocktail accessories (ice tongs, cocktail shaker, jigger, strainer and mixing spoon). Packed in a trunk. 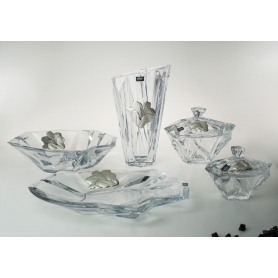 Glass, cocktail set consisting of six glasses and an ice bucket, decorated with handcraft engraving (E5 design) and silver accessories (rhombus, droplet, cuadrifoglio, spiral or triade) on the bucket. Available packaging: elegant case or trunk. 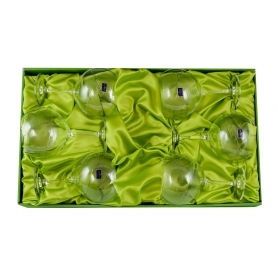 Gin and Tonic set consisting of six glasses (990 ml; 33.5 oz) with handcraft engraving (E5 design) and six silver-plated stirrers. 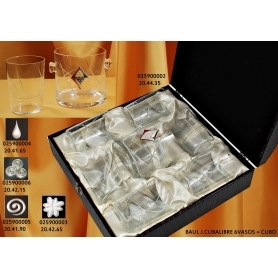 Available packaging:set box, elegant case or trunk. Custom etching avaible. 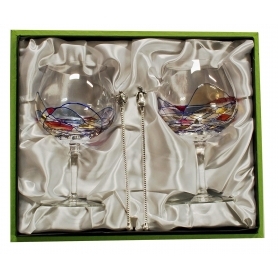 Gin and Tonic set consisting of two Milano glasses (28.7 oz; 850 ml) and two silver-plated stirrers with fruit decorative motifs. Packed in an elegant case or in a trunk. Custom etching available. 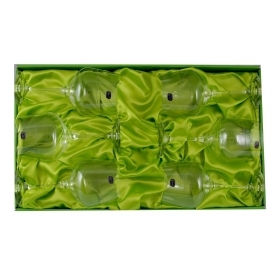 Gin and Tonic set consisting of six glasses Milano Red (28.7 oz; 850 ml). Available packaging: elegant case or trunk. 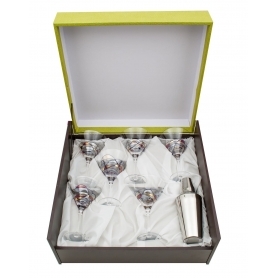 Martini cocktail set consisting of six Red Milano glasses and one cocktail shaker. Available packaging: elegant case or trunk. 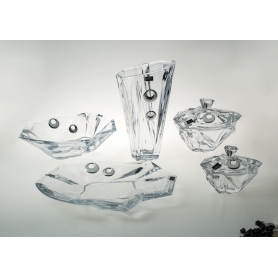 Martini set consisting of six glasses, Black/Silver Milano design, and a cocktail shaker. Available packaging: elegant case or trunk. 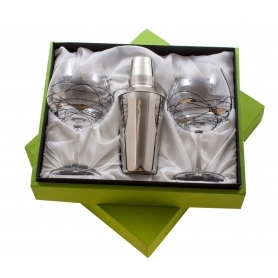 Martini set consisting of two Black/Silver Milano glasses and one cocktail shaker. Available packaging: elegant case or trunk. Custom etching available. 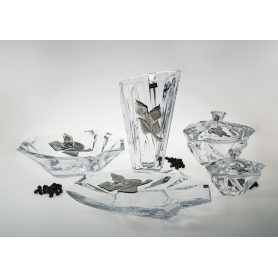 Gin and Tonic set consisting of six Black/Silver Milano glasses (29 oz; 850 ml). Available packaging: elegant case or trunk. 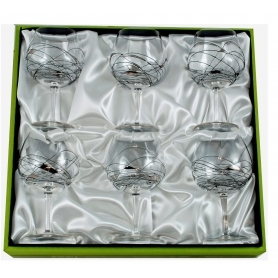 Gin and Tonic set consisting of six Black/Silver Milano glasses (29 oz; 850 ml) with six silver-plated stirrers. Available packaging: elegant case or trunk. 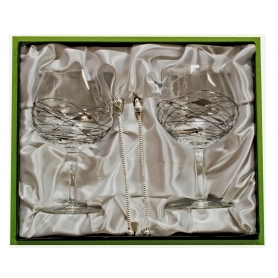 Gin and Tonic set consisting of two Black/Silver Milano glasses (29 oz; 850 ml) with two silver-plated stirrers. Available packaging: elegant case or trunk. Custom etching available. 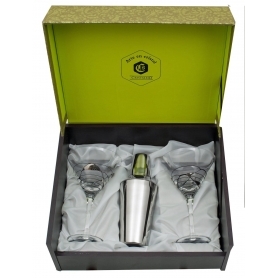 Gin and Tonic set consisting of six Black/Silver Milano glasses (29 oz; 850 ml), one stirrer and one cocktail shaker. Available packaging: elegant case or trunk. 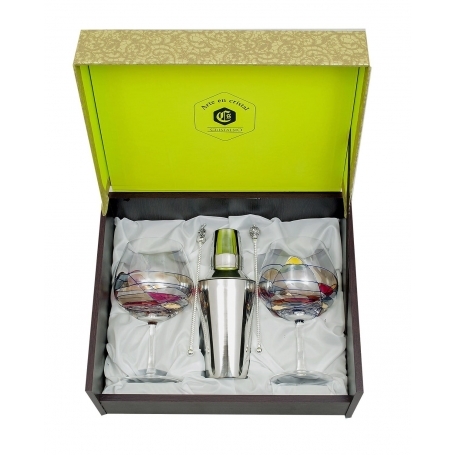 Gin and Tonic set consisting of two Black/Silver Milano glasses (29 oz; 850 ml) and a cocktail shaker. Available packaging: elegant case or trunk. Custom etching available. 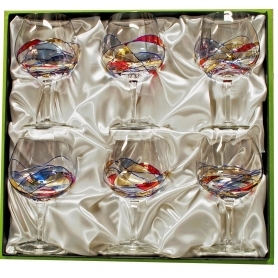 Gin and Tonic set consisting of six Red Milano glasses (29 oz; 850 ml) with six silver-plated, fruit-decorated stirrers. Available packaging: elegant case or trunk. 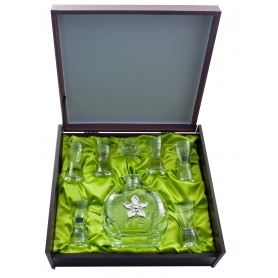 Gin and Tonic set consisting of six glasses (33.5 oz; 990 ml), decorated with handcraft engraving (E5 design), one siver-plated stirrer and one cocktaill shaker. Available packaging: elegant case or trunk. 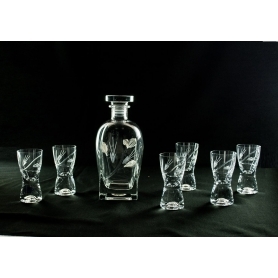 Gin and Tonic set consisting of six glasses (33.5 oz; 990 ml), decorated with handcraft engraving (E5 design). 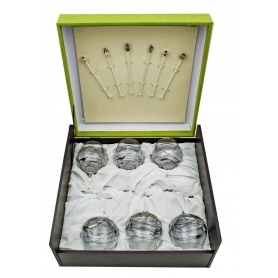 Available packaging: elegant case or set box. 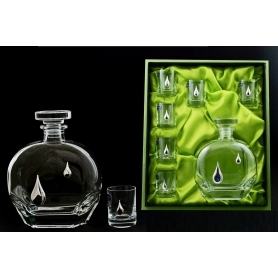 Gin and Tonic set consisting of six Rebeca glasses (28 oz; 820 ml), decorated with handcraft engraving (203 design). 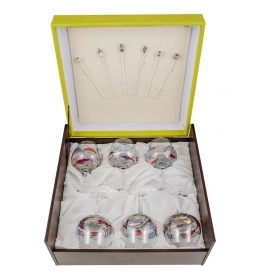 Available packaging: set box or elegant case. 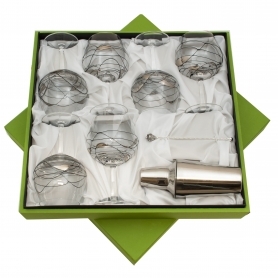 Gin and Tonic set consisting of six Rebeca glasses (28 oz; 820 ml), decorated with handcraft engraving (203 design), and six silver-plated stirrers. 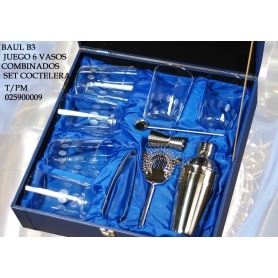 Available packaging: set box, elegant case or trunk. 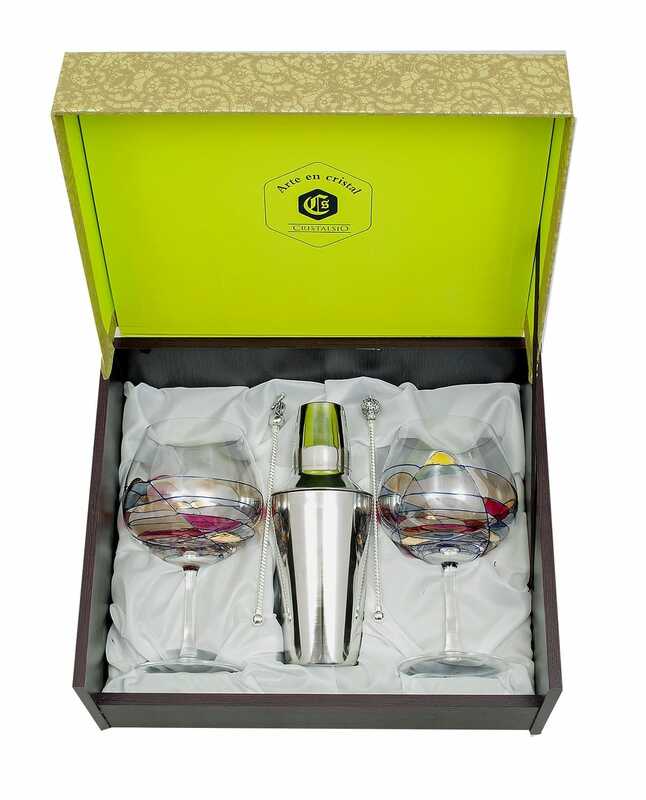 Gin and Tonic set consisting of six Rebeca glasses (28 oz; 820 ml), decorated with handcraft engraving (203 design), one stirrer and one shaker. 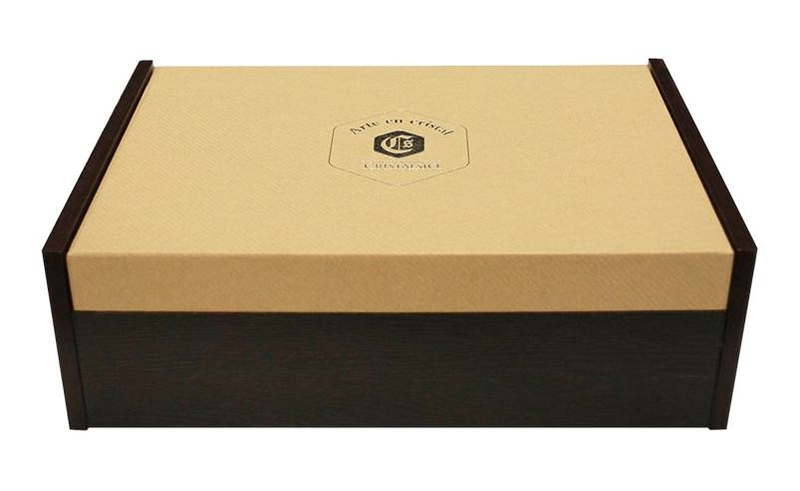 Available packaging: set box or elegant case. 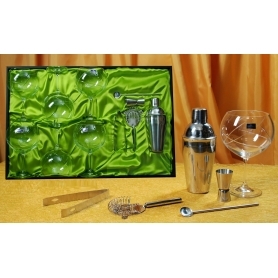 Gin and Tonic set consisting of six glasses (990 ml; 33.5 oz) and a set of steel, cocktail accessories (ice tongs, cocktail shaker, jigger, strainer and mixing spoon). Packed in an elegant case.